About | Shane Grantham Consulting, Inc.
Bio for Shane Grantham of Grantham Consulting. Grantham Consulting provides businesses and home-users with computer repair, computer services, and computer support. This can be on-site or by remote control over the Internet. 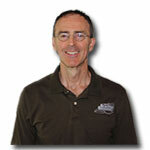 Shane Grantham has over 20 years of experience with computer repairs and computer service. He has worked with laptops, PCs, servers and related areas. His background as a network administrator and help desk coordinator and his systems engineer experience offers his clients a great package at a great price. Shane Grantham has been tearing apart and putting electronic gadgets back together since he was a teenager. He graduated from Purdue University at Fort Wayne with a degree in Electrical Engineering Technology in 1986 and in 1992 he earned his associates degree in computer science. After working for military contractors and computer service businesses for many years, he decided he wanted to go out on his own and service computers at small businesses and in people’s homes where they don’t have a dedicated computer professional on staff. He started Grantham Consulting, Inc. in 2003. Owning his own business means he can accommodate his customers’ busy schedules during the day, night or weekend. His rates are considerably cheaper than most bigger computer repair places. I have a toshiba laptop and one of my screws came out. When I plug my charger in it won’t stay . How much will it be to fix ? Do you need help with your Toshiba Laptop?